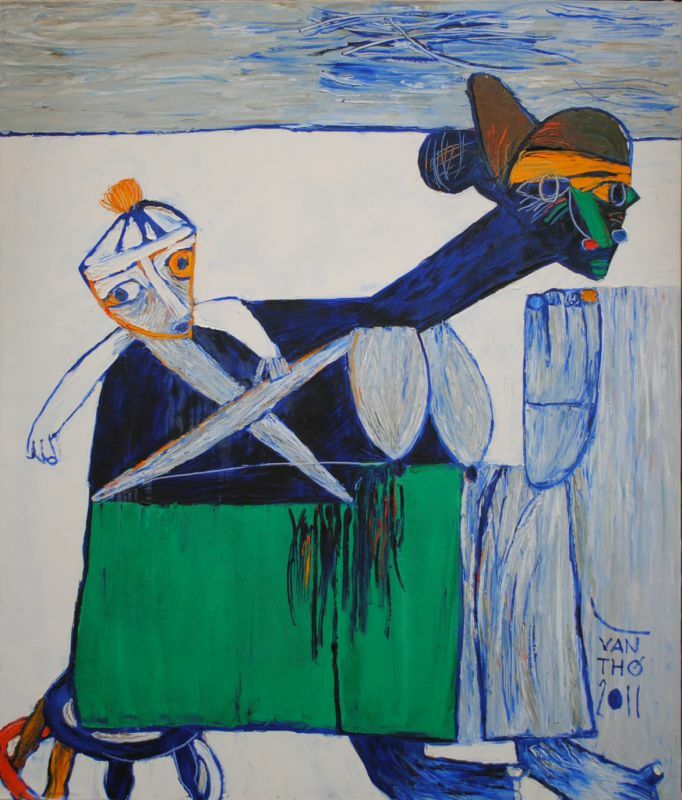 With a background in Social Realism, Van Tho often combines traditional and modern painting aesthetics to depict solemn and figurative subjects. Due to Van’s preference of alternative tools like trowels, the paint application is raw and highly gestural. In ‘A Mother Carrying Her Baby’, Van addresses the symbol of ‘Mother and Child’, a timeless subject in the canon of art history. The pair become the focal point of the work and almost meld together as one entity. 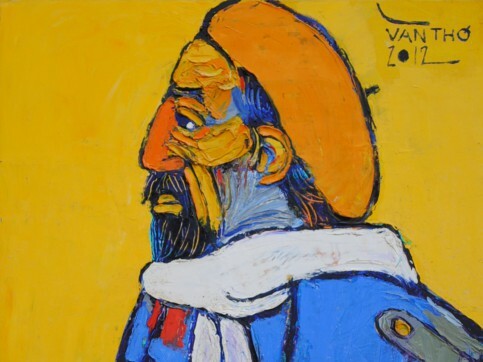 The exaggerated facial features and uncovered bosom recall African tribal masks and Primitivism which captivated the nineteenth century Post-Impressionists. I'm interested in this A Mother Carrying Her Baby by Van Tho. Please advise availability and price. Thank you.